During every appointment, whether in-person or by telephone, we will review your pet’s medical and diet history, evaluate his or her current diet, discuss appropriate feeding strategies for your specific pet, answer your nutrition questions and provide written recommendations to you and your veterinarian. During in-person appointments, we will also perform an exam on your pet, paying particular attention to body condition and other factors related directly to nutrition. Both types of appointments typically last 45 minutes; however, you should plan on spending more than 1 hour at our hospital for in-person appointments to accommodate registration, room availability, check-out, etc. After your appointment, we will type up a report of our recommendations for you and your referring veterinarian. We will send your written report within one week of your appointment. Our nutrition consultation reports include recommendations for up to 3 commercial diets and treats (if desired) which will be selected to meet your pet’s medical conditions, nutritional needs, and preferences. The number of appropriate diets available for each pet will depend upon his or her individual needs/restrictions. We also will provide recommendations for a limited number of dietary supplements, when appropriate. Please note that requests for additional diet and treat options may incur an additional fee based on the time required to research and identify appropriate products. If you elect to feed your pet a home-cooked diet, an additional home-cooked diet recipe formulation fee will apply. Your written report will include a recipe for one nutritionally balanced home-cooked diet to meet your pet’s medical conditions, nutritional needs, and preferences. More recipes can be formulated if you elect to pay for that option. To schedule an appointment or for pricing information, please contact our client liaison at (508) 887-4696 or 508-887-4363 (fax). To ensure that we have adequate time to communicate with all of our clients, we cannot answer unlimited emails or phone calls after your appointment. We will provide clarification of our recommendations for your pet, preferably by email, after your appointment. However, some situations will be best addressed with a recheck appointment and we have convenient and timely options for both phone and in-person rechecks. Please be aware that adjustments to the nutritional plan, research on additional diet options, or home-cooked diet recipe modifications after your report is sent may incur additional fees. Some pets will benefit from long-term nutritional management and we can set up a schedule of phone and/or in-person recheck appointments to ensure continued high quality care for your pet. To help ensure that our recommendations for your pet are appropriate and up-to-date, recheck appointments are recommended after any changes in your pet’s health status (such as development of a new disease or other changes that require modification of your pet’s nutritional goals) or after one year, especially for all pets on a home-cooked diet. If your pet’s medical conditions require a home-cooked diet or you prefer to feed one, we can formulate a custom home-cooked diet recipe for your pet. To purchase a recipe, you and your pet must have a phone or in-person appointment with the Clinical Nutrition Service or your veterinarian must submit a consult requesting a diet formulation. Once all needed information is received, the diet recipe(s) may take up to a week to finalize, and will be mailed, faxed or emailed to you and your veterinarian. As with all of our appointments and consultations, we will also provide comparable commercial diet recommendations if appropriate for your pet’s health concerns as well as information on treats and/or supplements. How do I make an appointment with the Clinical Nutrition Service? 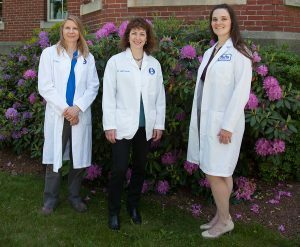 To set up a telephone or in-person appointment with the nutrition service, you should call our client liaison at (508) 887-4696. You will need to fill out a diet history form and your veterinarian will need to provide a consult request form and current medical records (especially blood work) for your pet before we can book your appointment. As you know, each one of your pets is unique. We also treat each pet as an individual and carefully review medical records and a diet history before making specific diet recommendations, whether for commercial diets or home-cooked recipes. For this reason, if you would like to have specific diet recommendations for each of your pets, there will be an additional fee for each pet to cover the time required to review medical records and diet history, discuss options, and follow up with you. Evaluating each pet is particularly important when one or more pets in the family has health concerns and the diets that they require may not be appropriate for other animals in the household.